If you want to build some serious muscle but still keep your good looks you need make sure you gain as little fat as possible while you build that muscle. In other words, you need to be doing what is popularly known as “lean bulking”. 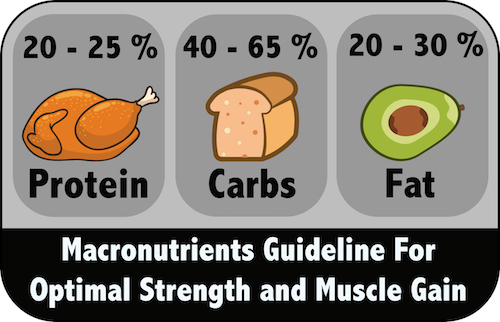 For optimal muscle building, you need a calorie surplus (more on this below). But, instead of eating a huge amount of food and a large number of extra calories (A.K.A. dirty bulking) which inevitably will result in a lot of excess fat gain, you need to be taking a more controlled and fine-tuned approach to your eating. That is essentially what lean bulking is all about. Naturally, most people are interested in gaining the maximum amount of muscle while keeping fat to a minimum, but still, some make the mistake of eating too much. I have made this mistake myself. First of all, doing a proper lean bulk is not necessarily about what specific foods you eat. The focus is much more on 1) the macros and 2) the number of calories that make up your whole diet. With that being said, there are of course certain kind of foods that are better to achieve your macros and calories goals. E.g. if you are eating a lot of chocolate, cookies and ice cream it gets very difficult to achieve those goals. Even if you succeed in hitting those numbers, it might put your health and long-term success at risk if your diet mainly consists of candy and fast food. In general, eating for optimized strength and muscle gain is simple. You pretty much just have to eat a lot of everything: protein, carbs, and fat. Described very briefly feeding your body enough protein will ensure you can gain strength and muscle. Carbs are great for providing the fuel for your body and especially performing your heavy lifting. Fats are crucial for optimal hormonal function. Simply put including all the macros in your diet will ensure your body is running optimally and also very important it will make your life easier. It will ensure you can be flexible about eating the foods you want. For me, the meals that have a good amount of all three macros are also the tastiest and most satisfying ones! For optimal muscle building, you need a calorie surplus. That is a surplus in the energy balance of your body. Keeping that in mind, your body can only use a limited amount of surplus calories with a correlation to the speed of which you are able to build muscle. Any more calories than that will get stored as fat. So in order to gain lean muscle, you need to be eating just a bit more than your body needs to sustain itself. It is possible to build muscle in a calorie deficit, however at a much slower rate. This occurs especially for beginners, but at a certain point in your muscular development, it won’t be possible at any meaningful rate. How fast you are able to build muscle strictly depends on your training experience and muscular development. You can check out my article on how fast you can build muscle realistically for in-depth information. Because of this, your surplus calories should be determined on the basis of your training experience. Doing this will give you a much better result and will reduce the possibility that you either set calories too low and slow down muscle growth or set calories too high and gain unwanted fat. Most experts agree that it takes approximately 2500 calories to build a pound of muscle / 5500 calories for 1 kg of muscle. Considering both the calorie requirement and the speed of which you are able to build muscle, I recommend that your calorie surplus should be around 5 – 15 % of your maintenance calories being highest as a beginner and slowly decreasing as you become more and more advanced (I am talking about years of experience). For beginner lifter, a good recommendation would be around 250-350 surplus calories per day. For intermediates 200 – 300 calories surplus calories per day. For advanced lifters 100 – 150 calories per day. When all that has been said, everyone is different and you really need to find out for yourself how your body responds to the calorie surplus and then fine-tune according to your concrete results and data. For fine-tuning your main considerations should be whether you are gaining weight too fast or if you are progressing in your lifts very slow or not at all. If you are gaining a lot of weight and your waist is also expanding, then consider lowering your calories by 100-200 and see what happens. If you are not progressing and not gaining weight add 100-200 calories and go from there. Remember to always look at trends and weekly averages rather than from day-to-day measurements. For more information on tracking and how to do it, check out my article on keeping track of workouts, macros, and body measurements. If you have experience or strongly suspect that you gain fat easily you can start out at the lower end. Also, if you are determined to keep fat gain to a minimum and accept that it may reduce strength and muscle gain by just a bit, then you can start with a smaller number. However, in both cases make sure to keep track of progress and reevaluate your surplus calories after some time. In the beginning of this article, I mentioned that you need to ensure you gain as little fat when you are building muscle. But, if you are a beginner or an intermediate some fat gain is actually optimal for your progress. This is because you can’t maximize strength and muscle growth while preventing fat gain completely. Your body is not perfect in that way that it can funnel all surplus calories into strictly muscle gains (regretfully). Experienced fitness coaches usually recommend beginners and intermediates to go for a muscle to fat gaining ratio in the range of 1:3/4 – 1:1. I explain the problem with not maximizing muscle growth as a beginner and intermediate in greater detail in my article on how fast can you gain muscle. 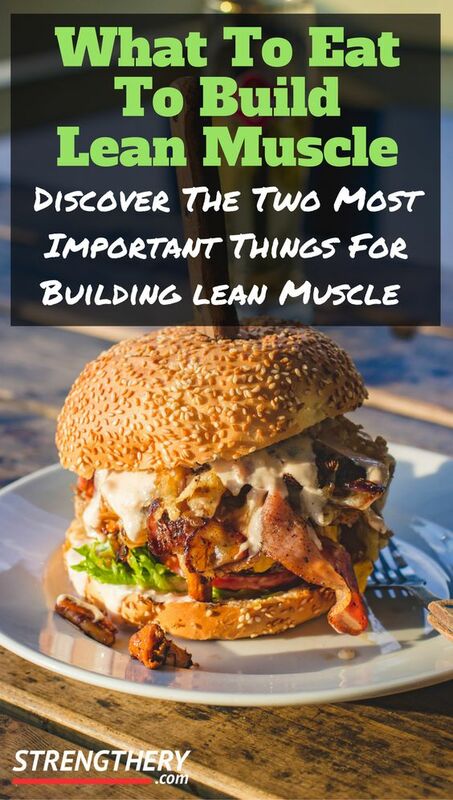 If you are interested in learning more about getting your nutrition right, gaining strength and muscle and burning unwanted fat, then you should take a look at my top free resource. I wrote it for both men and women! The main idea behind the guide is to serve as your blueprint to getting the body you want! It has everything you need to know and I am giving it away as a welcome bonus for joning my email list. How Fast Can You Gain Muscle Realistically?